Cannabis can deliver considerable relief to individuals suffering from debilitating arthritis pain. 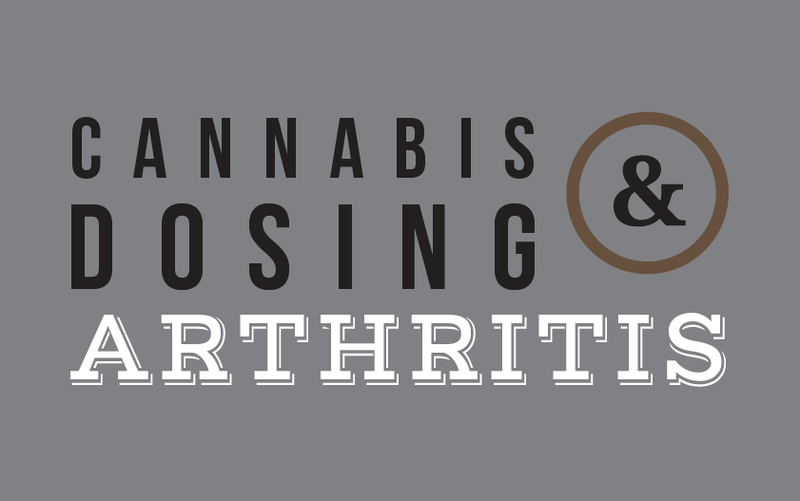 The best cannabis for arthritis depends upon the type of arthritis (rheumatoid, osteo, or psoriatic), the site of the ailment, and the primary symptom the individual is attempting to treat. CBD is the cannabinoid most sought after for rheumatoid arthritis, due to its ability to both relieve inflammation and act as an immunosuppressant. If you experience stiffness and pain caused by these symptoms, then CBD-rich topicals and oral tinctures or capsules are an excellent choice. The anti-inflammatory potential minimizes existing discomfort, while the immune-suppressant quality can prevent worsening outbreaks. As we discuss in our general dosing article, when you begin to treat your arthritis with CBD-based medications, it is best to start with a high dose (up to 20 mg), and then reduce the dosage until you reach the minimum amount that still provides relief. Unlike THC-rich cannabis, high CBD products will not provoke any psychoactive reaction, so there is no danger in taking a large dose. (The exception to this lies with individuals who are taking anti-coagulant medication along with cannabis. If you have a prescription for warfarin or another anti-coagulant, be sure to let a doctor or FARM staff member know before you being your cannabis treatment.) If the anti-inflammatory and immunosuppressant qualities of CBD just don’t cut it, you may want to turn to cannabis products with a higher percentage of THC, which will act as a more straight-forward painkiller. In general, individuals with rheumatoid arthritis see the best results with CBD, while those with osteoarthritis tend to prefer THC. If you plan to use THC to treat your arthritis pain, your budtender will recommend a very low dose to begin, and you will slowly increase until you reach the lowest dose that provides the necessary relief. FARM stocks various tried-and-true arthritis treatments including balms and topicals. Most of the store brand topicals are made with emu oil, which has recently been lauded for its beneficial effect on headaches, skin conditions, and muscle and joint pain. Essential oils promise additional healing and delicious scents. FARM offers herbal and floral-infused lotions, as well as the popular Earth Dragon Organics topicals (in three scents and two sizes – 15 and 50 ml), and Miss Envy’s minty Buddha Buddah, and unscented bath bombs. Farmacy doesn’t fall short on the edibles front either. If you’re seeking relief from inflammation and an over-active immune system, ask the budtender to set you up with easy-to-swallow CBD Capsules that come in a variety of 10mg, 12mg, or 20 mg. Farmacy also carries tinctures comprised of either 5 or 10 mg of CBD per one-millilitre dose. Finally, if you prefer to consume your medication smeared on toast or stirred into tea, you can pick up some handmade Farmacy honey. The tasty concoctions are available in high-THC, high-CBD, and two-to-one ratio jars. The largest size of CBD honey contains 240 mg of medication per jar, which works out to about 20 mg of medication per 9 ml dose. The THC honey offers 480 mg per jar, so new users should limit their initial consumption to ½ or one ml per treatment, and increase only as needed. Share your symptoms with our well-informed Farmacy budtenders, and they will help you design an individualized medical cannabis treatment plan to relieve your arthritis pain.